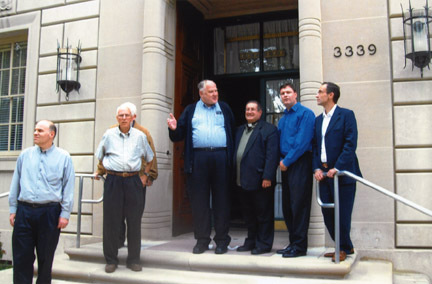 Camden Diocesan priests who are a part of Jesus Caritas Priest Fraternity stand in front of the papal nunciature in Washington, D.C., where they had their monthly meeting on Saturday, Sept. 12. When Catholic parishioners are in times of despair or stress, and need encouragement and support, they often turn to their parish priest. When priests need support, who do they turn to? Who ministers to the minister? For members of Jesus Caritas Priest Fraternity, it is fellow priests. The fraternity began in 1951 in France and made its way to the United States in 1959. 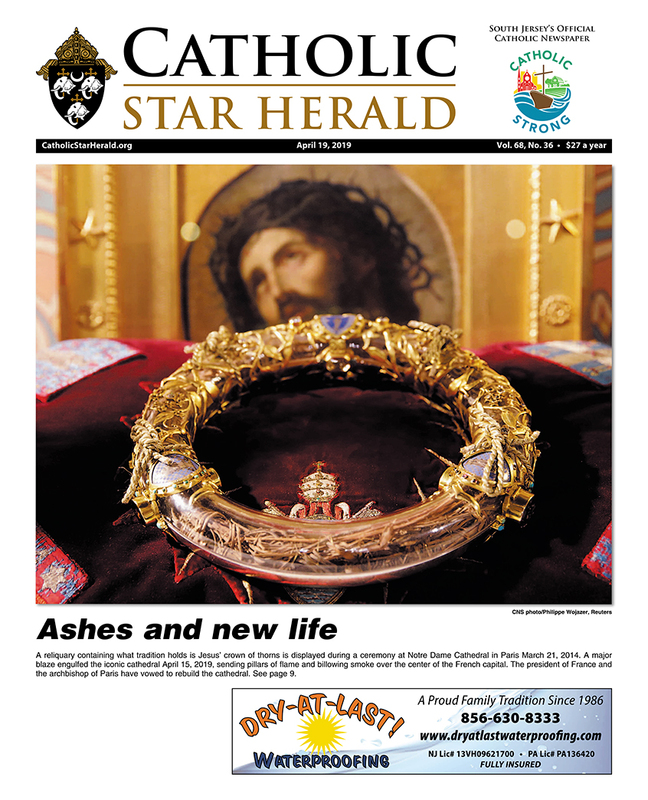 With more than 5,000 members worldwide, and 1,500 in the U.S., the organization helps priests to continue to live out the Gospel message, through monthly meetings that consist of Scripture sharing, contemplative prayer before Eucharist, fellowship, and a meal. 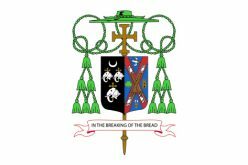 One such group in the Diocese of Camden held its monthly meeting at the papal nunciature in Washington, D.C. on Saturday, Sept. 12, where one of the priests, Msgr. Joseph Pokusa, is a staff member. 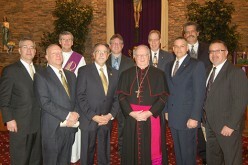 The members of this particular group, including Msgr. 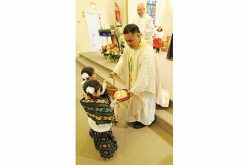 Pokusa, are Msgr. 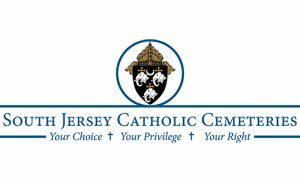 John Frey, pastor, Maris Stella, Avalon; Father Neil Lambert, St. Rose of Lima, Haddon Heights; Father Ronald Falotico, parochial vicar, St. Joseph, Hammonton; Father Joseph Capella, pastor, St. Luke, Stratford; Father Matthew Weber, parochial vicar, St. Luke; Father Tom Kiely, director, Office of Vocations; Father Stephen Rapposelli, parochial vicar, Our Lady of the Angels, Cape May Court House; Father Rene Canales, administrator, St. Casimir, Woodbine; Father Steven Pinzon, parochial vicar, St. Joseph, Swedesboro; and Father Nicholas Dudo, parochial vicar, St. Agnes, Blackwood. 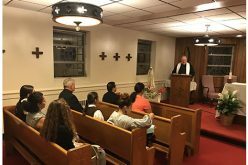 Archbishop Pietro Sambi, the apostolic nuncio to the United States, joined the group in prayer, and shared with the other his experience as a priest and his 40 years of representing the Holy Father throughout the world. The group’s spirituality stems from the life and writings of Blessed Charles de Foucauld, who founded the first fraternity of priests.